Don't mistake slow growth as a time to stop mowing your lawn in the fall. 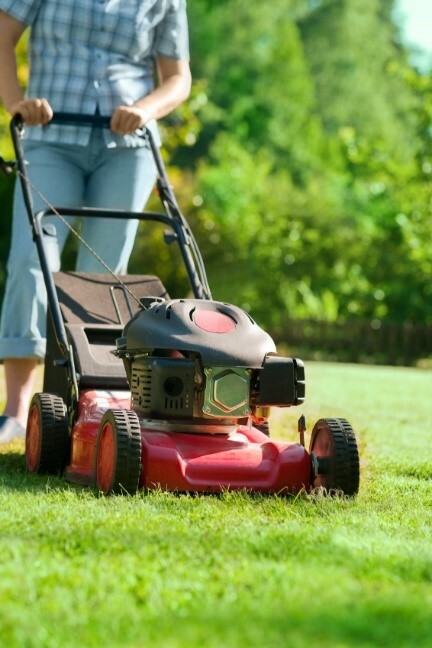 During this time, your grass works even harder to absorb moisture and nutrients for its long dormant period. 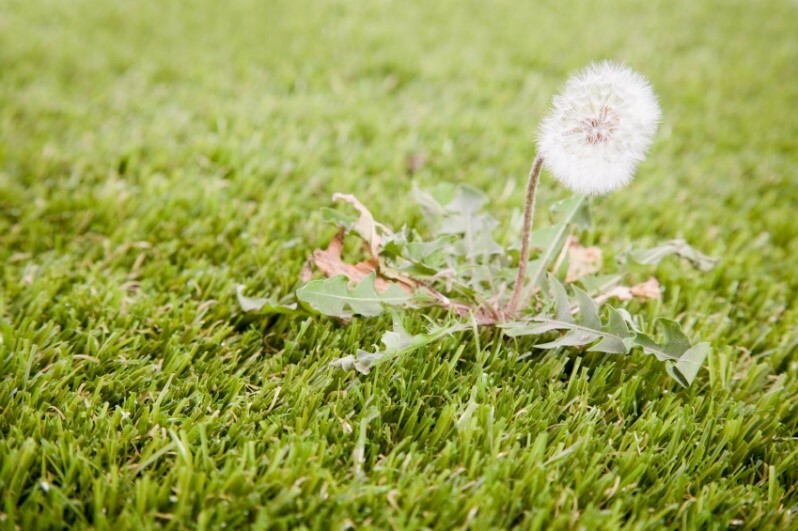 By providing attention to your grass now, you'll enjoy a greener, more vibrant lawn in the spring. Follow these fall lawn care tips for effective and time-efficient lawn maintenance for the winter. grass even lower and allows abundant sunshine to reach the grass crown, resulting in less browning through the winter. In addition, sharpen your mower blade, as cutting your lawn with a dull blade does nothing but tear and damage the grass. 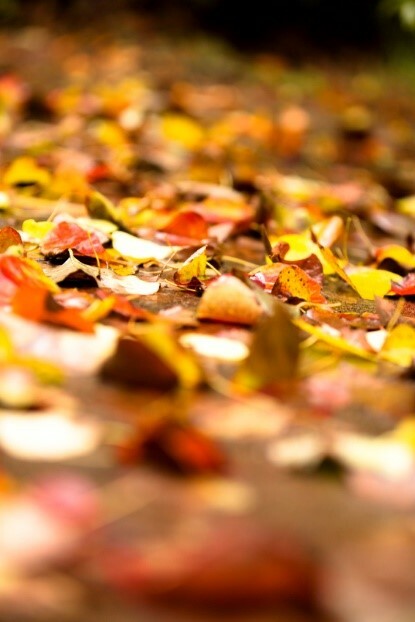 Many homeowners wait until all the leaves have fallen off the trees before raking them into a huge pile. Don't make the same mistake. The longer the leaves stay on the ground, the more they soak up the overnight moisture, clump together, and create a tough mat over the grass. When fall arrives, begin raking or sucking up the leaves in a vacuum to protect your lawn. If you don’t, you'll risk suffocating your grass and promoting insect infestation and fungal disease growth. Grass blades grow more slowly during cooler weather. However, the roots and rhizomes, which lie below the soil and produce both the blades and the roots, continue to grow rapidly. 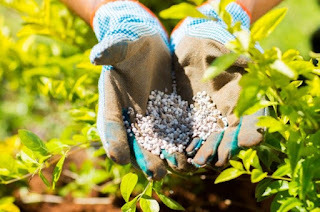 Applying fertilizer during the fall delivers vital nutrients, helps the roots grow deep and strong, and gives the grass a healthy start in the spring. Apply a high-nitrogen lawn fertilizer by mid- or late fall using a walk-behind drop spreader for thorough coverage. If you don't know how much nitrogen is in the fertilizer, look at the three numbers on the label. You may see something like "25-5-5," which represents the percentage of its ingredients. The first number always refers to nitrogen, and the second and third numbers indicate the percentage of phosphorus and potassium in that order. 4. Fill in the bald spots. Some lawns, no matter how much you maintain them, develop bald spots. Fortunately, you can buy an easy-to-apply, ready-to-use lawn repair mixture to remedy the problem. These mixtures contain fertilizer, mulch, and grass seed to jump-start those bald spots during the fall and winter months. To prepare the area, lightly break up the soil with a rake. Spread the mixture over the bald spot, flatten it lightly, and water the entire area thoroughly. Continue to water the spot at least four times a week for a minimum of two weeks. 5. Check for and remove excess thatch. Thatch – it's the excess buildup of dead stems, roots, and shoots mingled in with living grass. It forms between the grass and the soil and develops when your lawn produces organic waste faster than it can break it down. If you leave the thatch in place, it prevents the grass from getting the air, water, and nutrients that it needs for good health. If you’re wondering how to prepare your lawn for winter, this is a great place to start. De-thatch your lawn in early to late fall before you apply any fertilizer. Use a thatch rake to break through the thick layers, using a push-pull motion to rip the thatch out of the soil. Gather the thatch in a pile using a standard lawn rake and dispose of it accordingly. If you don’t, the thatch will kill the grass beneath, making more work for you in the springtime. Though dandelions and other summer weeds seem to disappear in the fall, their roots are still in place and continue to absorb your lawn's moisture and nutrients. Whatever fertilizer you apply in the fall will just go to the weeds if you don't remove them first. In early to mid-fall, apply a lawn-friendly herbicide to the grass to fight the weeds and promote better grass growth in the spring. If you want to help your lawn take in more air, fertilizer, and water, you should aerate it in the early fall. Aeration produces small holes in the soil, providing easy passage for nutrients to reach the grass roots and rhizomes. To aerate your lawn, you can either use a powered lawn aerator or a manual aeration stick. For large lawns, it's best to use a gas-powered aerator, guiding it slowly over your lawn as it punches holes in the soil. 8. Drain any irrigation lines. It's a good idea to drain your irrigation lines even if you have drained out the system. If not, any water that remains in the lines can freeze and expand, resulting in cracked pipe walls and backflow during the cold months. Drain the lines in late fall after your final watering of the season. For manual draining, shut off the irrigation water supply and open the manual drain valves. For automatic draining, shut off the water supply and activate the system to relieve the pressure. If you plan to drain the lines using the blow-out method, seek the advice and assistance of a licensed contractor. Did you find our fall lawn care guide useful? Is there anything else you do to prep your lawn for the winter months? Let us know in the comments below!